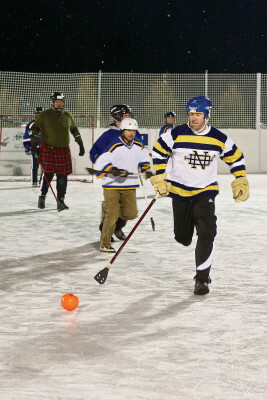 The Theresa K. Hilander Community Ice Rink hosts free skating, broomball, and ice hockey throughout the winter. The Sister Bay ice rink is open when weather permits from mid-December through February. The rink features a warming house, fire pit, and bathrooms. The warming house offers snacks and beverages as well as equipment rentals of ice skates, helmets, sticks and other equipment. The rink is located a short walk or drive from downtown Sister Bay. Games will start at either 6, 7 or 8pm. Games at 1, 2, 3, 4 and 5pm. Come find out who will win the Highlander Cup. Hot Chocolate, bonfire, romantic lighting, releasing of Japanese lanterns as a symbol of togetherness, and an open sweetheart skate. Ring in 2017 with the county's only New Year's Eve fireworks display. Visit cometosisterbay.com for more info.